Nothing quite like a bloody great crow on the cover of a fantasy book to get the blood racing. 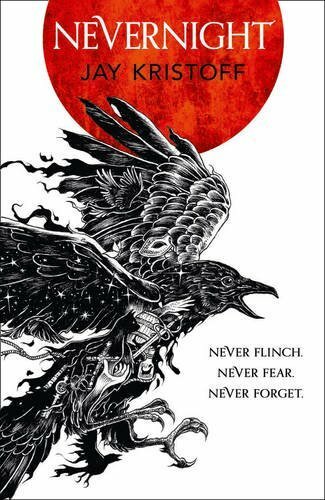 And Nevernight did just that. That cover by the way is by Kerby Rosanes. And what a magnificent cover it is. Darkness in a world that is lit by three suns. A cat who is not a cat but made of shadows. Yep, sounds pretty cool right? Most of the book takes place in The Red Church, the murderous cult where skills are honed. It is really not a place that one would want to get a scholarship for. A place where thievery and murder are pretty much commonplace and it’s the educators who are somewhat frivolous with their use of violence against their own students. It makes for quite an intense read but very exciting. Mia’s journey has well and truly begun, and I look forward to see how deep into the shadows she goes.